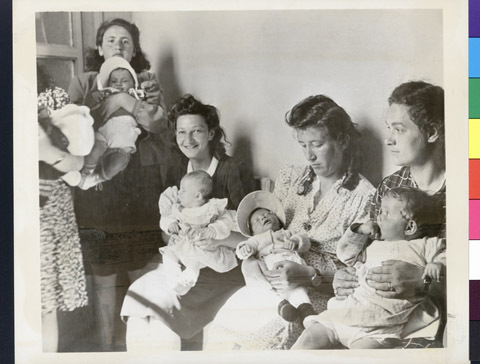 JDC - Archives : Mothers and children in waiting room of well baby clinic established by JDC outside of Rome for Jewish DP mothers living nearby, who bring their children in for frequent medical examinations. The clinic is aimed at keeping these future citizens of Palestine and other lands in good health. Title Mothers and children in waiting room of well baby clinic established by JDC outside of Rome for Jewish DP mothers living nearby, who bring their children in for frequent medical examinations. The clinic is aimed at keeping these future citizens of Palestine and other lands in good health.